When you first walk down the halls of The STAR Center your eyes are immediately drawn to the beautiful tiles that adorn the walls as far as your eyes can see. The colors light up the path and each unique tile is placed together beautifully with the other. 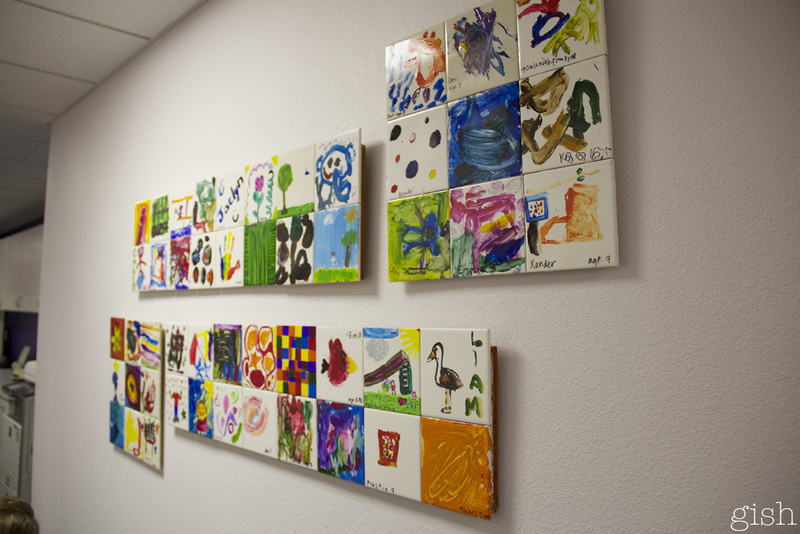 At first glance you see beautiful art from hundreds of children who have walked the halls before you; but what you don’t see are the powerful stories behind every individual tile and the child that each one of them represents. Behind each tile is a child struggling with SPD. Behind each tile is a family whose world was once so chaotic and so broken until they finally found the answers they had been searching for. This past Friday, it was our turn. 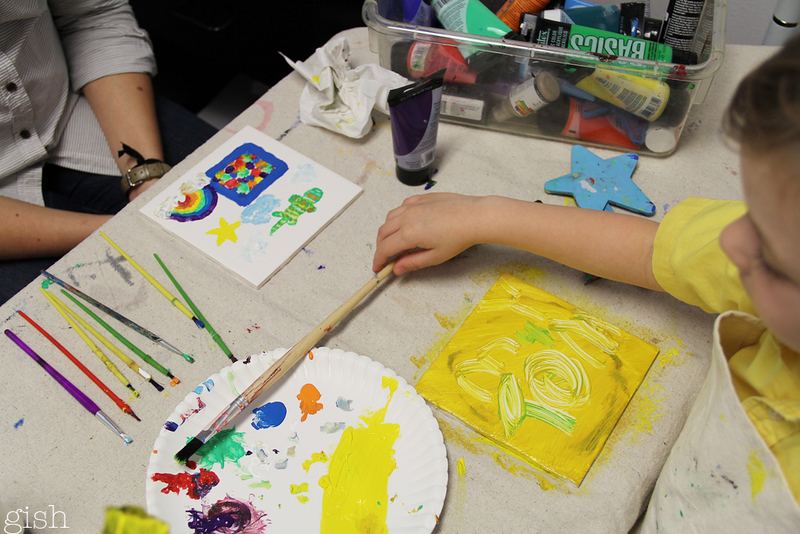 We sat down and Tommy was given a tile to paint and leave at The STAR Center and his OT, Vin, painted one for us to take home as a reminder of our time here. Tommy’s favorite color is yellow so he adorned his tile with as much yellow paint as you could possible place on a brush. He painted his name and his age and we all agreed it looked perfect. Vin painted a collage of all of Tommy’s favorite activities. 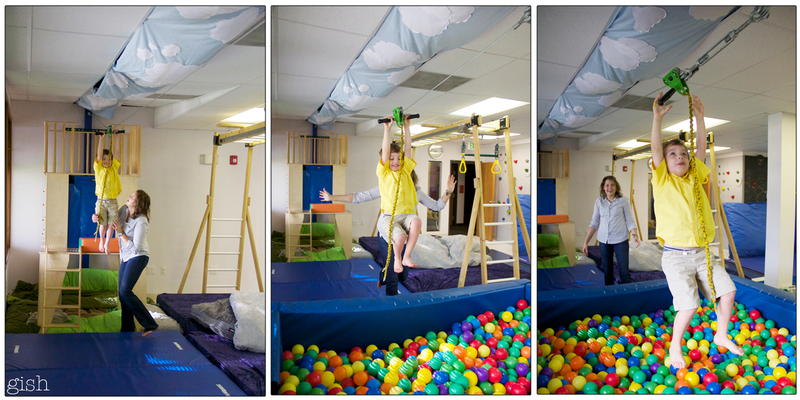 The ball pit, the Rainbow Room, some clouds to remind him of the clouds above the zip line, and his favorite lizard, Frank. I feel so blessed to place our son’s mark on the walls that will live on in perpetuity at The STAR Center. The paintings on every tile represent so much more than what initially meets the eye. The paintings, and the walls on which they hang, represent hope. 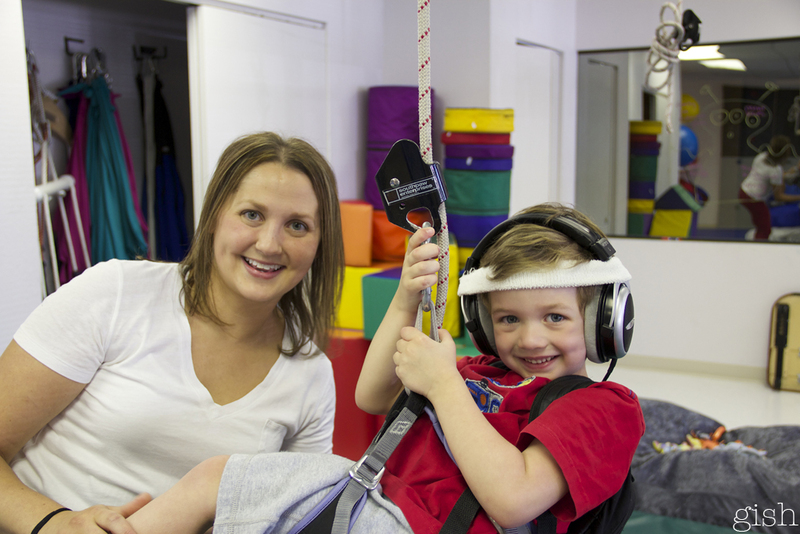 We left the tiles to dry and headed to the gym for some final moments of therapy and play with his precious therapist. Friday was Vin’s final day with Tommy before she headed out of town a week ahead of our departure. We will continue with another OT for our few final days in Denver, but while we still had her, we soaked up every last moment. I did everything I could to hold it together as long as possible so as not to disturb Tommy with my own selfish tears during his therapy. 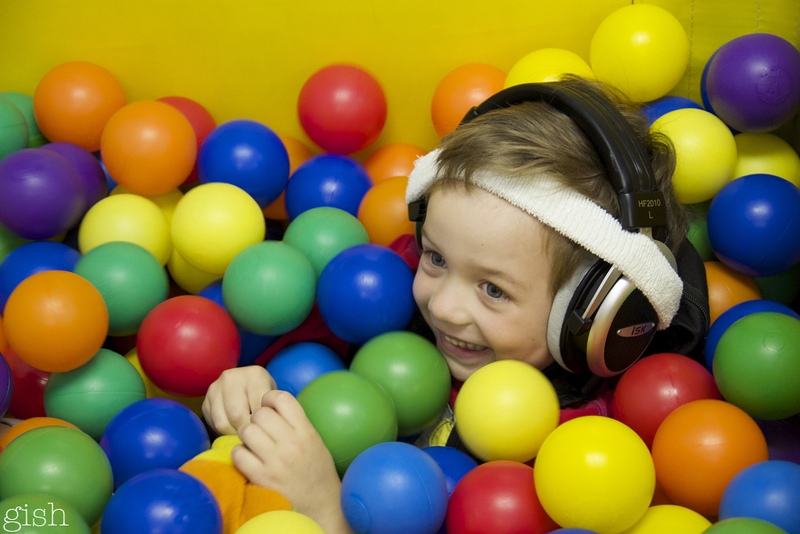 He continued to play as he did each day, diving into the ball pit, digging for animals for his “pet store” and riding the zip line having the time of his life. As he crashed into the ball pit after a fast ride, I was reminded of the first day we sat in that very same ball pit with a very different little boy. I remember looking at the zip line up above and thinking there is no way my child will ever know how fun that is. There is no way my child will ever experience the rush of zooming across the air and crashing into the ball pit over and over and over again…no way. These pictures and the smiles on their faces are more magical in my eyes than you will ever know. Our time soon came to an end and as we were leaving the gym I felt that infamous lump in my throat starting to appear. We had spent the entire summer together every single day and she had given so much to our family and I just couldn’t imagine not waking up the next day ready to play with Vin. As we arrived back at the front desk I knew it was time to say goodbye. 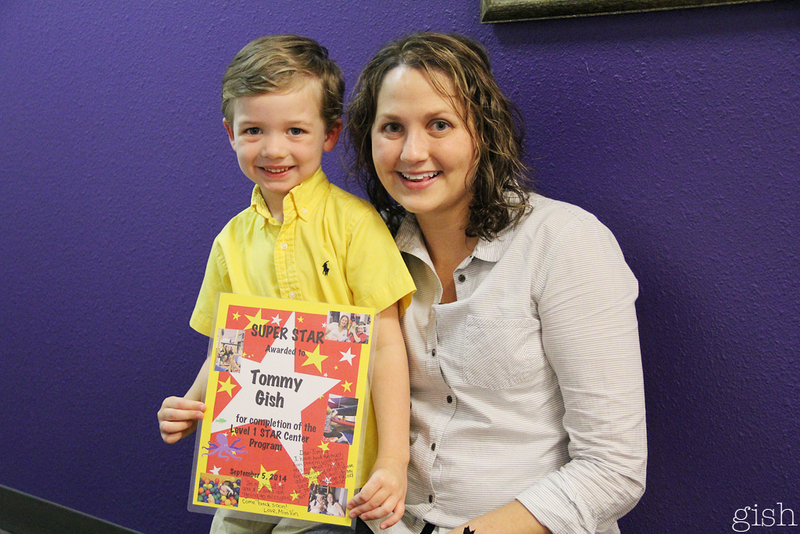 She presented Tommy with a precious Super Star award for his hard work and gave him one last big hug. My eyes filled with tears. I gave her a hug and tried, once again, to hold it together for Tommy. I reminded him that these were happy tears. Mama’s not sad, just so happy and grateful for the amazing blessings we’ve been given over the past eight weeks. This goodbye was especially hard for so many reasons. I knew I would see Vin again for our parent wrap-up meeting later that day; but it’s always hard watching your child say goodbye to someone when they have no true concept of what’s going on. He adores her and I know he will miss Vin terribly. Later that day as our parent meeting was ending I thanked her, once again with tear-filled eyes, for everything she had given to Tommy and to our family. She continued to remind me and Rob that we CAN do this. There will be many challenges ahead, but we can do it. I have so many hopes and fears about the next few weeks and months ahead as we transition back home and into school once again. There will be good days and bad days; but I always have to remind myself, that’s life. He is growing and changing and learning every minute of every day and all we can do as parents is be present for him and support him in whatever way possible. The night before our last day I composed an email to Vin to let her know how grateful we were for our time together. Words are not enough to properly express our eternal thanks. I have so many emotions running through my head tonight in anticipation for our last day tomorrow. I know I will be an absolute wreck inside but I will use every ounce of everything I have in me to keep myself together for Tommy. I knew I wouldn’t have the time or the words to express my thanks to you in the midst of all my tears tomorrow so I wanted to send you a note tonight to thank you while I still had some composure. I will never ever forget the first moment we walked in the doors at the STAR Center. We were two parents absolutely broken, exhausted, and desperate and we had battled through so much together to get us to that moment. We were walking in with our darling Tommy who had no idea the mountain we had climbed to get there. You welcomed us with loving, open arms. You knew exactly where we were in that moment and you reached out your hand to Tommy and our journey began. Here you were, this woman we had never met and we were standing before you entrusting our son to you. It was a huge leap of faith. Although you are not a mother yet, you will one day know the courage it takes to trust someone with your child. You calmed our fears and let us know immediately that although it wouldn’t be easy, you would be there to support us and that’s exactly what you did. I want you to know you have given us our son back. You believed in him and you knew the little boy he had every ability to become. You have given us our life back. You have supported him every waking minute you are with him and guided him to where he is today. Thank you for supporting me and Rob and guiding us through such a life changing process. It has been so so emotional for me to even imagine the day our eight-week journey would end and now the day has come. Next week and the weeks and months ahead will just not be the same without our amazing time at STAR with you each day. At the end of the day I hope you realize what an amazing job you are doing, and I hope you realize just how great your impact is on each and every family you touch. We have just competed one of the most amazing experiences in our lives and there is no one else I would have rather entrusted my son’s success with than you. Thank you is simply not enough. Thank you for this wonderful update, Christin! Such a beautiful story. A tearjerker for sure. It’s so wonderful to hear that Tommy did, in fact, get to experience that zip line. I can only imagine the adorable, infectious smile he had when he finally emerged from the pit of balls. Christin, you amaze me with your words to describe your final days in Denver! 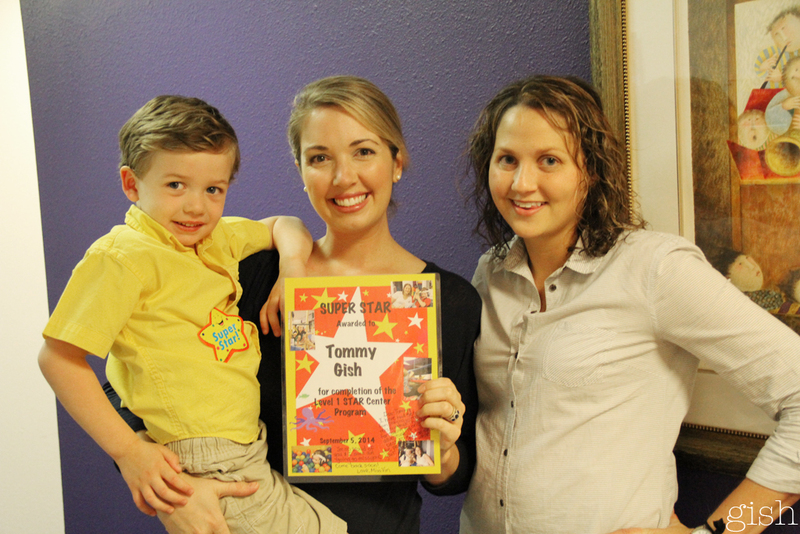 Precious Tommy, his doctors , therapists etc…I’ll pray for your strength on Saturday when you leave this wonderful hospital. Hate we are missing each other by a few hours, but I’ll be back!